No paint spray booth is complete without adequate lighting. Take a look at our most popular light fixtures—while there are many options out there, these series have been adapted to give you the most bang for buck and the most consistent illumination over time. One culprit of maintenance interruptions is your paint booth light fixtures. Without proper lighting, you can suffer the financial cost of re-work. We can keep the color and lumens of the bulbs in your light fixtures consistently bright. We can retro out your old T-12 fixture to a new T-8, or upgrade you to the latest in booth technology: LED lights. 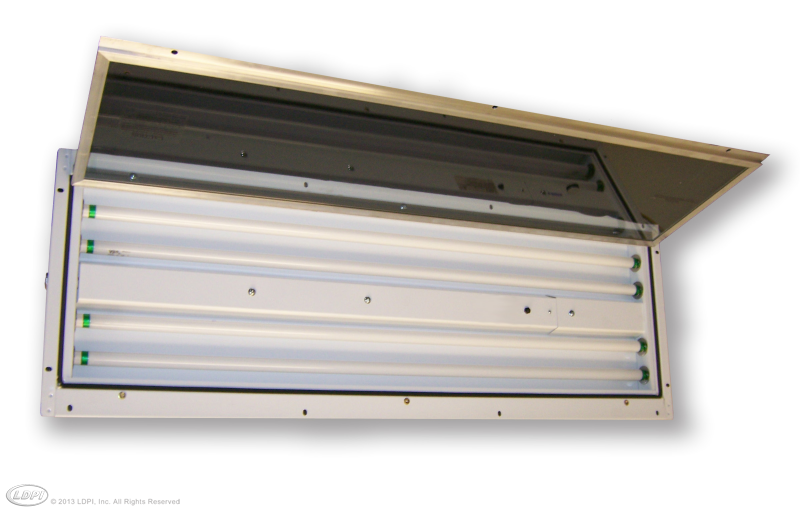 LED paint booth lights will be a one-time upgrade since these bulbs will last approximately 50,000 hours. Keep in mind LED fixtures cost less to operate and lasts about 5,000 hours. If you aren’t just buying replacement bulbs for fixtures you already have, LED lights are an excellent option to consider that have low maintenance and high performance in your shop.